VLOG 2 is here! Have you always wondered how models pose? Do you ever see those beauty product ads for shampoo or makeup in your magazines and curious to know how they did it? Well, today I’m taking you behind the scenes on my photo shoot with photographer Elie (RealRinchere.com) and I’m showing you how to do it! Do you get in front of the camera and freeze up? Don’t worry. It’s totally normal! Maybe you’re wondering how you should pose or how you should move your body in front of the camera. Hands! Eek! Not sure what to do with them? Maybe you’re like me and make a standard face when posing. Do you want to know how to make cute, yet commercial faces? It’s all about trying different things, even if they feel weird, to get ‘the’ shot. 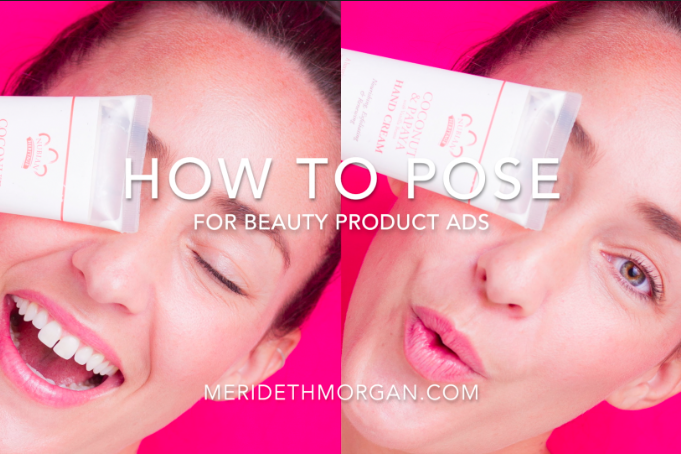 Are you curious to know how to hold the product? Or maybe you’re a season vet looking for new ideas or inspiration. *Bonus! We’re also walking you thru how to set up your studio with the proper lighting to get the perfect beauty shot without fancy equipment! If you missed it, watch VLOG 1 now!